Rieker bring us 41385-91 DORIC. 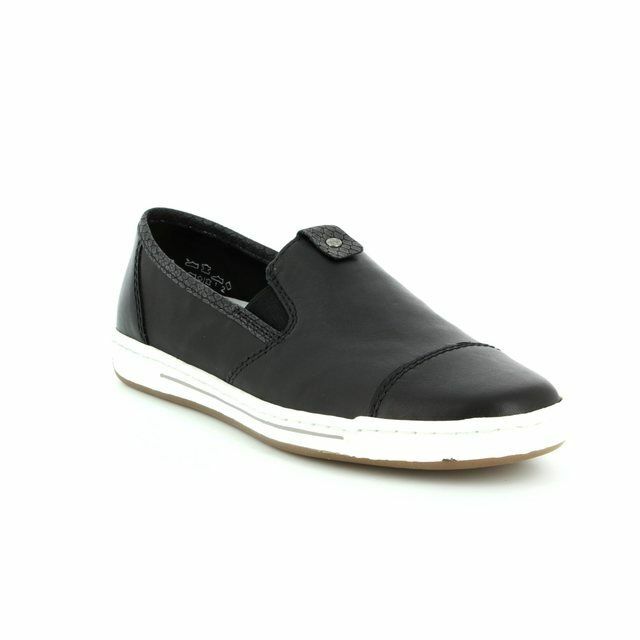 The ultimate in everyday slip on shoes, these are a wardrobe essential. 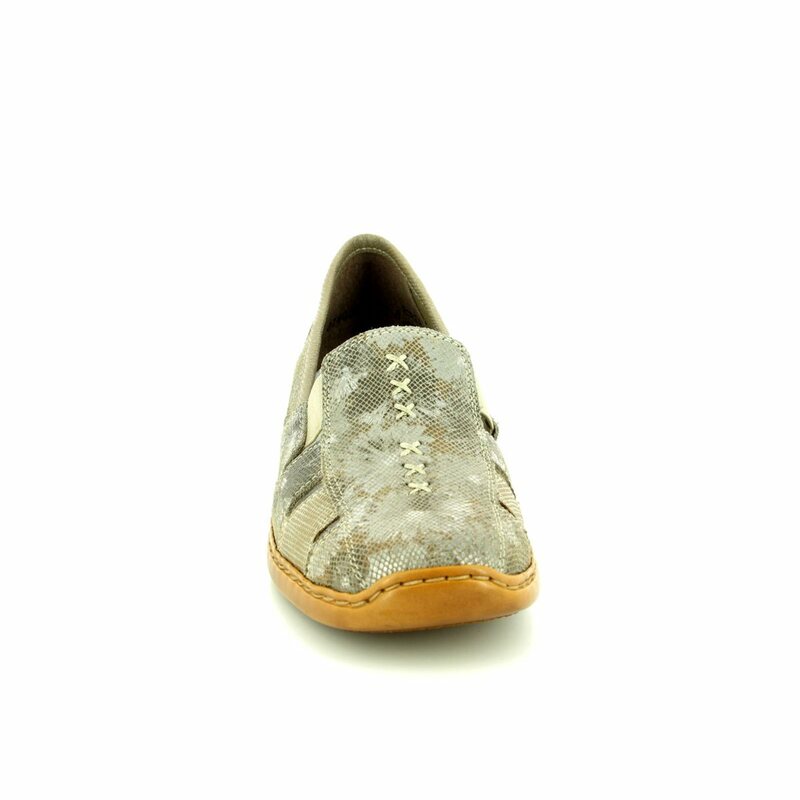 The taupe upper of these ladies slip ons features delicate tonal detailing, offering a sophisticated touch to your outfits. Rieker have paired this with cut outs as well as statement stitching for the perfect summer vibes. The addition of a 2cm approx. 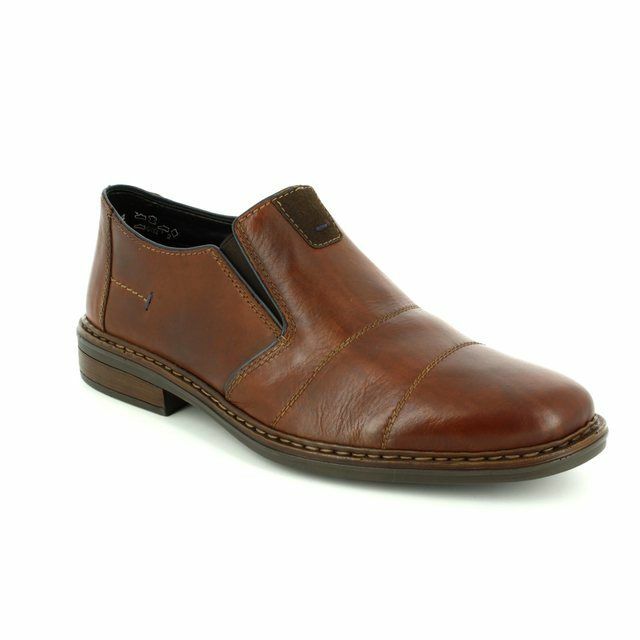 heel offers elevation while the ANTISTRESS technology ensures your comfort. ANTISTRESS technology blends flexibility and cushioning with cleverly crafted footwear that allows your feet to expand throughout the day. 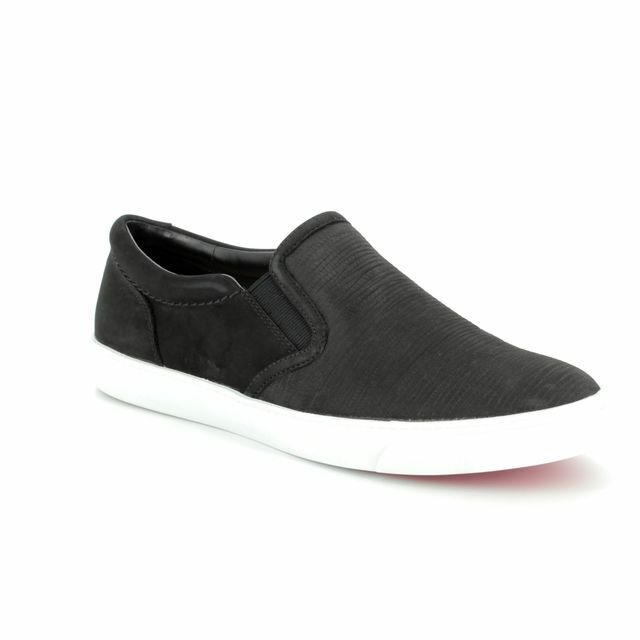 Elasticated panelling on these slip ons allows a secure fit and ease of use. 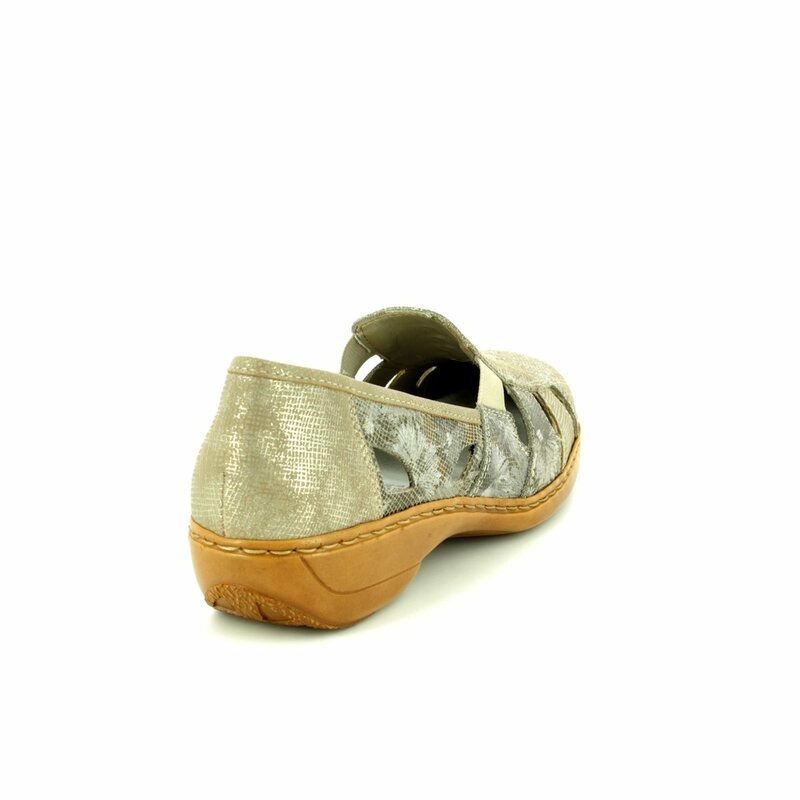 Rieker have used their 'DORI' last for these ladies shoes, all of our Rieker shoes with 'DORI' at the start of their name offer the same fit making Rieker fantastically easy to shop. 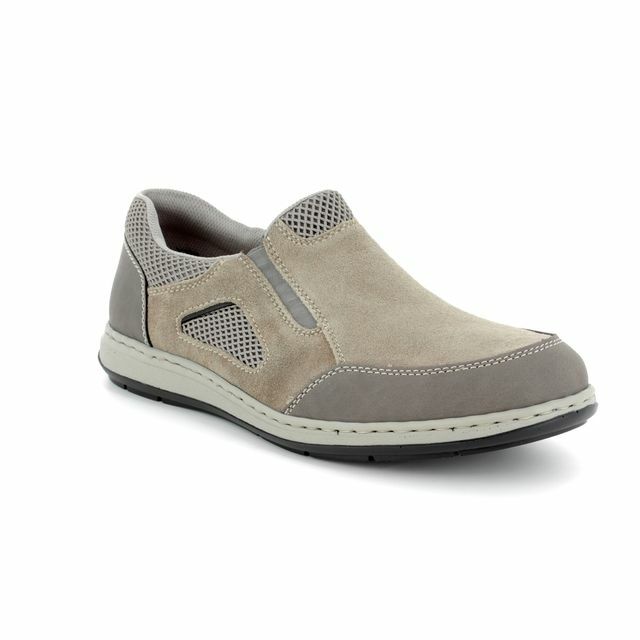 Buy your Rieker ladies slip on shoes from Begg Shoes, an official Rieker stockist.